Born into a family steeped in theatre vocation, films did not occur till after his graduation. Tall and handsome Gaurav Chakrabarty graduated in editing from the FTII and his destiny began to write itself out differently. Here’s what actors Sabyasachi Chakraborty and Mithu Chakraborty’s older son has to say. 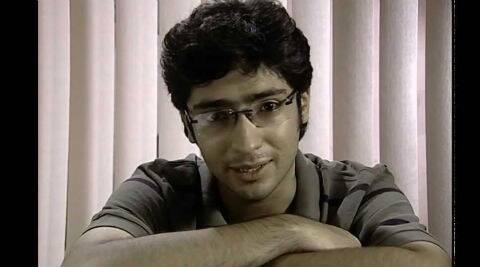 Gaurav Chakrabarty: I do not feel pressurised by my parents. Neither does my younger brother Arjun. What was your role in the recently-released Apur Panchali all about? I played Arko, a student of direction at the SRFTI, who accompanies the ageing Subir Banerjee, the actor who portrayed Apu in Ray’s Pather Panchali, to Germany. We represent the present. The film flashes back into the past to unfold the story of the younger Subir who was neither seen nor heard of after Pather Panchali. A fictitious story, it focusses on the tragedy of child actors who disappear. Ardhendu Banerjee, who played the older Subir and I, developed a wonderful bond. He is not only a great actor but also an educationist who retired from the IAS some years back. Over time, it was acting that attracted me. But my father advised me to take up a technical course so that I could fall back on technique that is always in demand. I like editing. Your character became a big hit in the serial Gaaner Oparey. Was that your first attempt at acting? No no, I did a telefilm by Kaushik Ganguly. It was a thriller shot extensively in the forests of North Bengal called Baghnokh. I was a total novice and extremely nervous. I feel uncomfortable looking back at the film today. Gaaner Oparey happened a few years later. My character was to run through three months but the tremendous popularity of the serial extended my role till the end. Gaaner Oparey, I think, was the greatest hit on Bengali satellite channels but the producers refused to extend it and that was the right thing to do. You are not into the small screen anymore, are you? I did one more – the role of a zamindar in a serial called Adwitiya. It was a role with strong negative shades and after Gaaner Oparey, it was quite a challenge for a novice like me. It was doing quite well but for some reason, it was pulled out suddenly. Who are the directors you have worked with? Koushik Ganguly has given me the greatest scope. He gave me my break in Baghnokh, followed by Rang Milanti, a frothy, youth-centred love story, and then a very different role in Laptop and now Apur Panchali. My role in Atanu Ghosh’s Roopkatha Noy was of a newly-married husband who tries to cope with a bride who is forever running away. In Haranath Chakraborty’s Chhayamoy, I play the sixth generation of a royal family. Aashbo Aar Ek Din, directed by Abhijit Dasgupta, was a different cup of tea. Each director brings in a different learning experience and I feel lucky to have been able to learn from them. What does your illustrious family have to say? I do not feel pressurised by my parents. Neither does my younger brother Arjun. My father is quiet but gives suggestions if asked. Maa is very encouraging and profuse in her appreciation. I did a bit of theatre in our home group Charkbak after graduation but working with my father made me wobbly in the knees. I admire my brother’s work very much. We have a great relationship and love to bask in each other’s glory. There is no sense of competition at all. What kind of homework do you put in for each role? I try to memorise the script. I read it again and again before the shooting so that I can internalise the character. Koushik Ganguly gives total freedom and we are completely relaxed during the shoot. My problem is that I get emotionally attached to every role. Haranath uncle has a different way of working and his entire team is like a family because they have been together for many years. Atanu uncle is low key and knows exactly what he wants. I learnt a lot about dubbing from him. Five years from now, I would go on acting and perhaps editing too besides make documentary films. 1 Asha Bhosle lends voice for Miss Match!